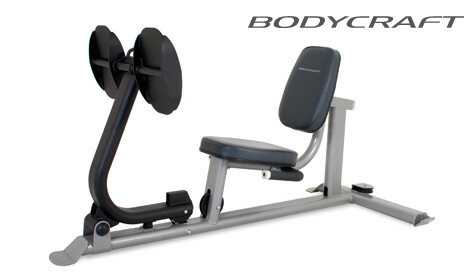 The Vortec Spin Bike console attaches with a bracket to the handle bars of the Bodycraft SPX Spin Bike. 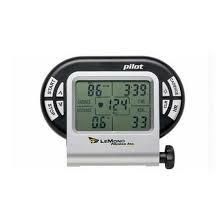 The console displays time, calories, speed, distance, heart rate (when used in association with receiver belt), RPM and odometer. All pieces required to attach the console to your spin bike are included. 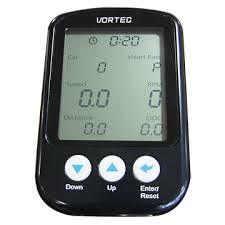 The Vortec Spin Bike console is simple to use and with the simple UP, DOWN and ENTER function buttons. 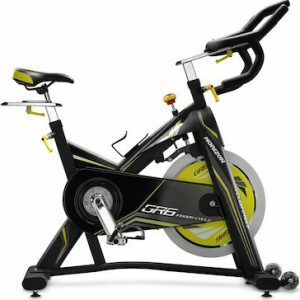 The console starts automatically when exercise is initiated and shuts down four minutes after the wheel stops rotation. 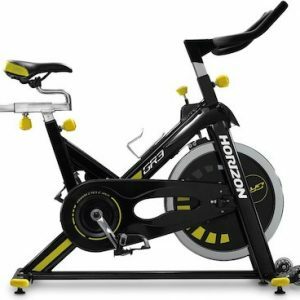 Track your exercise achievements and follow your training plan with ease by using the Vortec Spin Bike Computer Console. *Includes all attachment pieces and battery.